Serious gamers always want to have the best gaming gear to help give them that extra edge over opponents. That extra edge can come in the form of elite game controllers that provide faster response times. It is for gamers who need that instant reaction time as they play their favorite video games. Among those various gaming gear options that Xbox gamers would like to have is this Razer Sabertooth Elite Gaming Controller. The Razer Sabertooth Elite Gaming Controller for Xbox gamers feature a wider array of gaming buttons that provide faster response times and some added convenience that only serious Xbox gamers can really appreciate. The Razer Sabertooth controller is designed to provide users with more customizations for their preferred gaming buttons all encased in a new rugged design that provides both protection and ease of use for gamers. The Razer Sabertooth controller comes with six additional multi-function buttons. These buttons can be reprogrammed or reconfigured in order to function according to the gamer’s personal preference. The controller comes with an OLED screen to make it more convenient in programming the multi-function buttons, creating profiles or adjusting sensitivity. It is a cabled controller so gamers remain tethered to their Xbox console. Whether a wireless version will be available still remains to be seen. 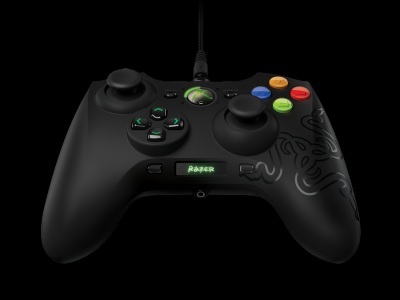 But for now, the Razer Sabertooth Elite Gaming Controller is available at Razerzone for US$80.